Since I wrote yesterday, the forecast has got worse and worse every time we’ve looked. Now we have more than 30km winds at the summit. Even lower down on the Dome de Gouter it’s similar. We’re not going to be able to fly from the summit of Mont Blanc. We’re not going to be able to fly from the Dome de Gouter and we’re not even going to be able to fly from the lower point of the Refuge de Gouter. So late last night, we had to make a very tough decision. 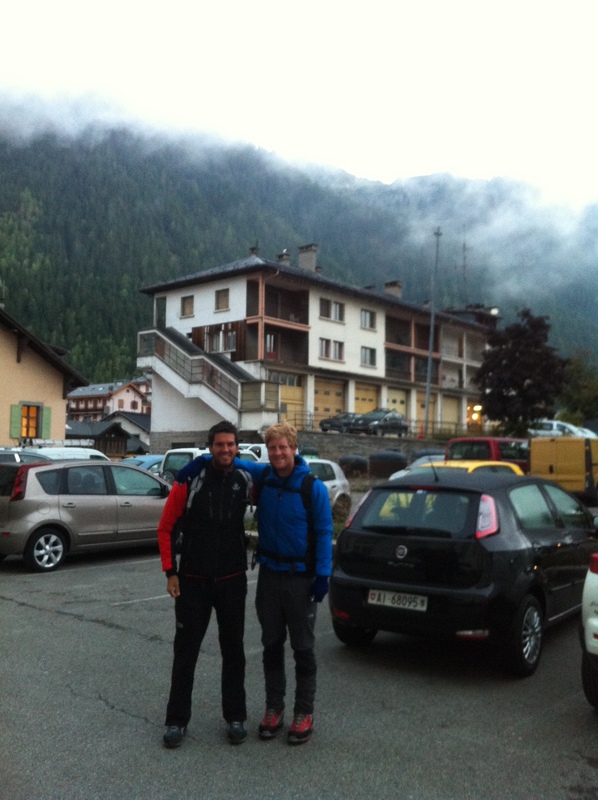 And at 7am this morning, Sam and Jam left without us to climb Mont Blanc. We’ll be setting off with Irwyn tomorrow morning to meet them at the Refuge de Tete Rousse. If we can, we’ll fly down from the Glacier de Tete Rousse at 3150m. It’s a disappointment. But it’s the best the weather will allow. This is paragliding and this time, the mountain says: “No!”.